So I just had my first ever accident. Older lady rear-ended me while I was stopped waiting to cross traffic. Nobody was hurt, thankfully, and I only have a few hundered bucks worth of damage at worst that her insurance will pay for. 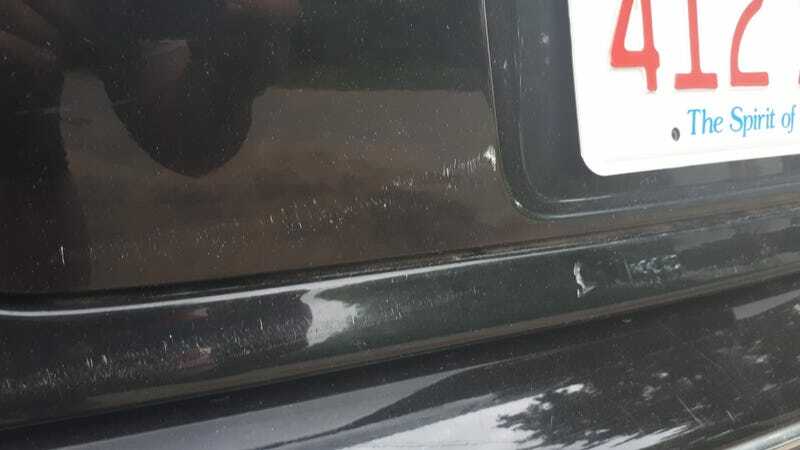 Her newish Rav4 lost its grille and had a pushed in bumper, while I just suffered a few scuffs, a couple unnoticeable cracks in the bumper, and two nickel-sized dents in the badge-inal (tee-hee) area. I was stopped next to where that Versa is, waiting to turn left. Everything was sorted out peacefully and she admitted to being distracted to the officer. She did see me at the last second and started to brake so she was only going about 20 when she hit instead of the full 50mph. I was only shunted forward like two feet before both of us came to a complete stop and my bumper isn’t even pushed in. Thank you BMW for making this thing such a tank!